The use of promotional products is a well-established thread in the marketing mix. Anyone who has ever visited an exhibition or trade show is more than likely to have come home with some branded promotional products – probably in a branded carrier bag, too. And there’s a wide variety of promotional products to choose from : starting with more modestly priced items such as branded pens and fridge magnets, through calendars and bottle openers, to caps, hats, shirts and water bottles. Frequently, such products will be emblazoned with a corporation’s logo and contact details, either printed, sometimes engraved or stitched onto a suitable surface of the giveaway. But the question arises: is the promotional article a valuable way of generating business, or a waste of marketing budget? When considering why people give away promotional products, one key driver is a psychological one – the “principle of reciprocity”. In short, people love gifts, and they are more likely to want to give back to you, if you have first demonstrated your generosity. So by passing out a promotional product, you engender in your prospect a greater willingness to be ready and willing to transact with you. Unique and creative – Logo promotional products are not a new concept so to really stand out from the crowd; you need to something that is new, creative, and different from your competition. Visibility – One of the key goals of giving out promotional products is to promote your business and your brand. As such, your promotional product must be able to prominently display your logo and business info with high quality printing or laser engraving. Usefulness – Useful is the key attribute that determines whether the recipients would end up keeping your promotional product or tossing it away. While baseball caps, frisbees and T-shirts may be popular giveaways, they may not be useful for many prospects, and will soon end up being thrown away. 1. Unlike other promotional products, the USB flash drive can be pre-loaded with product catalog, videos, presentations, or anything you can think of to promote your business and brand. 2. 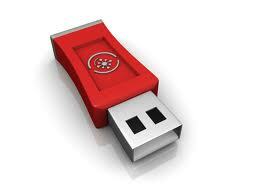 USB Flash Drives are useful and people use them frequently to store file or copy/transfer files. Each time the USB drive with your logo is being used, your brand gets repeated exposure. 3. Most USB Flash Drive models have plenty of branding areas for you to prominently print or laser engrave your logo. Not all USB flash drives are the same, and just with any promotional product, it pays to be careful about how you source your product. Beware of buying from middle men, who may buy down to a price, in the process ignoring key quality requirements. One first step you should always take is to look for a reputable company with experience and a track record of supplying USB flash drives, and ideally a company that is certified to the ISO 9000 quality assurance standard. Ask for testimonials from clients, and check that only top grade memory components are used in any USB flash drives you order. Top grade memory components ensure that the USB drives work optimally and reliably for a long time.